Tangled in patch cables, dreamSTATE's Scott McGregor Moore (Scott M2) and Jamie Todd were submerged in the studio, creating their evolving sound environments with a collection of vintage and modern synthesizers. The first public expression of their electronic explorations was waveforms, an ambient soundscape installation (1996). This ever-changing, multi-speaker creation played continuously for six months at The H5 Project, a holographic art gallery in Toronto. dreamSTATE's first CD release BETWEEN REALITIES (1998) captured a one hour section of the piece in a 'live microphone' recording which merges waveforms' electronic textures with the urban soundscape of the street outside. Still working in the deep end of the ambient pool, dreamSTATE surfaced to perform their atmospherics live with small powerful synthesizer systems. 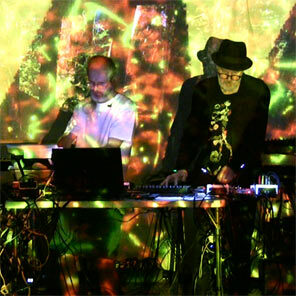 Fresh from live appearances at the World Electronic Music Festival (WEMF 1998), Interference Orange and the Junction Arts Festival, they celebrated the launch of their first CD with an ambient soundscape performance at Toronto's WEAVE nightclub. In 2000 there was an even stronger emphasis on live performance. 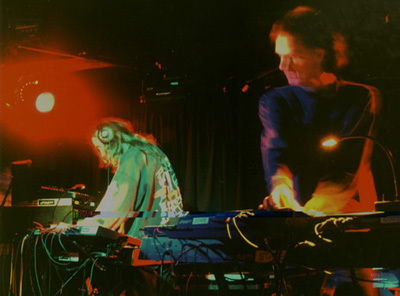 Along with appearances at events like the OM Festival and the Alive series, each month the duo performed a chapter of the Drone Cycle 2000 - a tour through the 12 notes of the chromatic scale as foundations for ambient drone improvisations with a revolving series of special guests. In 2012, on the "chromatic anniversary" of the series, they revisited the Drone Cycle with all-new guests. They remain active ambient/electronic music performers. Their second CD, PASSAGE (2005), features dreamSTATE's soundscapes from the Bread and Water multimedia installation (inspired by poet Lynn Harrigan's book Moon Sea Crossing) which was mounted in the Huron District Historic Goal in Goderich, Ontario from August to October 2004. Scott M2 performed dreamSTATE's soundscapes live for the stage adaptation of Moon Sea Crossing at the Toronto Fringe Festival in July 2006. OM (2006), was dreamSTATE's their first live concert CD, from an early morning chillout performance at the OM Festival in 2000. In 2010 a decade dreaming was released - featuring live soundscapes selected from a decade of performances at THE AMBiENT PiNG. Co-releases are also planned from recording sessions with James Johnson, Vir Unis, Heiki and Susanna Hood. Exclusive tracks are appearing on a variety of ambient and experimental CD compilations - visit the CDs page for the latest releases. In 2015 dreamSTATE released their first iAlbum Ephemeral City - an app for iPhones and iPads that plays a new infinite arrangement of their soundscapes each time - an ambient installation in a phone. Scott and Jamie are also members of dreamSTATE vs. Heiki and founders of community drone-improv group DRONE:KLUB. Jamie Todd has also released 3 albums under the project name URM and is a member of SADU (with Eric Hopper of Sylken and Terry O'Brien of Anomalous Disturbances) and NOiNO (with James Baily and Matthew Poulakakis aka Automatic Fats). Scott M2 also creates ambient multi-media works and installations from his films and photography. Since 2000, Scott and Jamie have also been curating THE AMBiENT PiNG (Toronto's long running live ambient music event) as a garden for new ambient music growth in the city and a welcoming spot for touring ambient performers from across the continent.